Domestic investigations are primarily concerned with investigating matters that involve individuals and their personal issues. Studies show that over 90% of all victims of domestic crime know their assailant – a staggering number that can be easily prevented by taking appropriate measures with the help of a professional private investigator. Involving a professional in your private matters does not mean exposing yourself to public scrutiny, as a private investigator will handle your case with the utmost sensitivity and confidentiality. If you notice suspicious behavior from someone close to you, it is best to investigate them in a covert manner rather than give them the benefit of the doubt and potentially end up losing more than you gain. 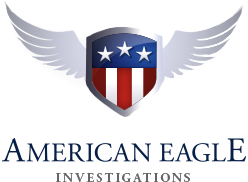 At American Eagle Investigations, we perform a broad range of domestic investigations to help safeguard you and your loved ones from any potential harm – whether physical, emotional, or both. Operating across the NYC area, including Queens, Brooklyn and the Bronx, our team has over 50 years of combined experience in private detective work. 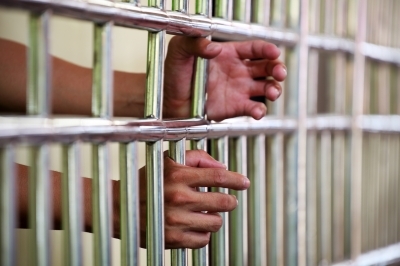 Adoption Investigations – Finding out that you were adopted is difficult, and it can be even more so when you lack information about your birth family. We can help you find all the answers you need and can often reunite you with your lost family members. Child Custody – When your ex-spouse wants to see their child in their separate home, you have no legitimate reason to refuse. If you suspect that they may be harming your child, we can investigate to ensure that your child remains in the safe and loving home that they deserve. Divorce: Child Support and Alimony – Nothing takes a toll on a divorced parent than the lack of child support from their unwilling ex-spouse. We can discover the person’s true financial worth and help you obtain the child support that you need. Domestic Security Investigations – Through covert security equipment, we can ensure that your home is safe from outside criminal activity. We do so without compromising your comfort or turning your home into a fortress. Domestic Surveillance – In many cases, domestic crime occurs when the homeowner is not present. By installing video surveillance equipment, we can help you remotely see what is happening inside your home, allowing you to take appropriate measures if necessary. Identity theft – Having someone steal your identity is a very serious crime, often committed by someone with easy access to your various forms of identification. We can find the necessary evidence to help restore your good name. Marital Infidelity – The only thing worse than discovering an unfaithful spouse is doubting their every move yet having no concrete proof. If you wish to investigate your spouse’s suspicious behavior, we will do everything we can to discover the truth to put your mind at ease. Nanny Surveillance – A qualified nanny will have experience and references, but you cannot fully trust them until you watch them on the job. We can help you do so with our innovative “nanny cameras,” which can be hidden anywhere in your home. Personal Investigation – Regardless of whom you wish to investigate, a private detective can help you do so in a discreet yet thorough manner. That is the only way to ensure that you live and work only with perfectly trustworthy individuals. Premarital Background Checks – In today’s world, you often do not know who you are in a relationship with. To ensure that you are making an informed decision about your future, we can perform a thorough background check on your partner. To learn more about our domestic investigations, please contact us at American Eagle Investigations today by calling 212-344-8997. New York private detective Dan McBride can provide you with a FREE and confidential consultation.